The latest news from Just Mosaics! Just a quick up date on what is happening with my church commission - I have finished cutting and sticking to two wave side panels and will grout them next week, and am now waiting for the fibreglass mould of the font, to mosaic inside! I will post a picture when they are finished. 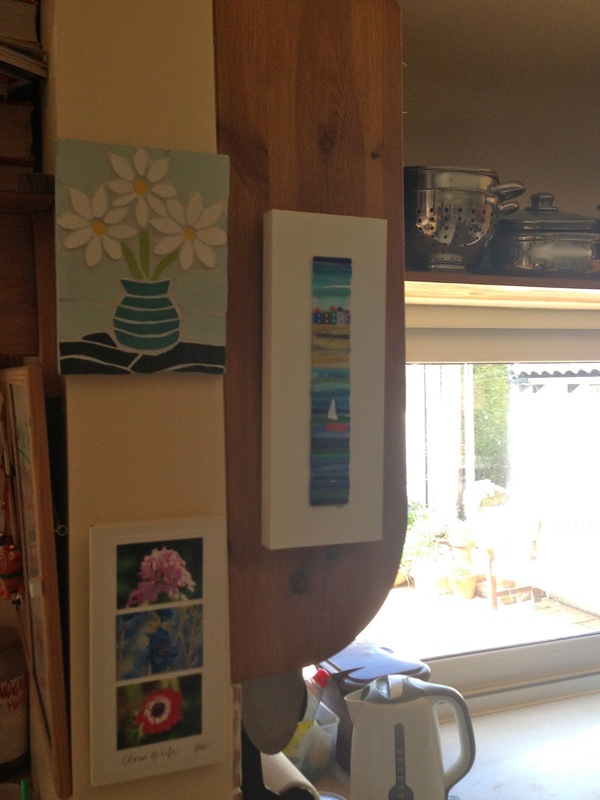 Here it is up in our kitchen! This is a small commission I made for a lady in Ireland who wanted a robin in hers, as it was her Dad's favourite bird! Detail of the mosaic robin - my first! Mosaics for the Sacred Heart Church - Part 2 - Getting on..! Just thought you might like to see how I am getting on with my church commission ... I am so enjoying making it! 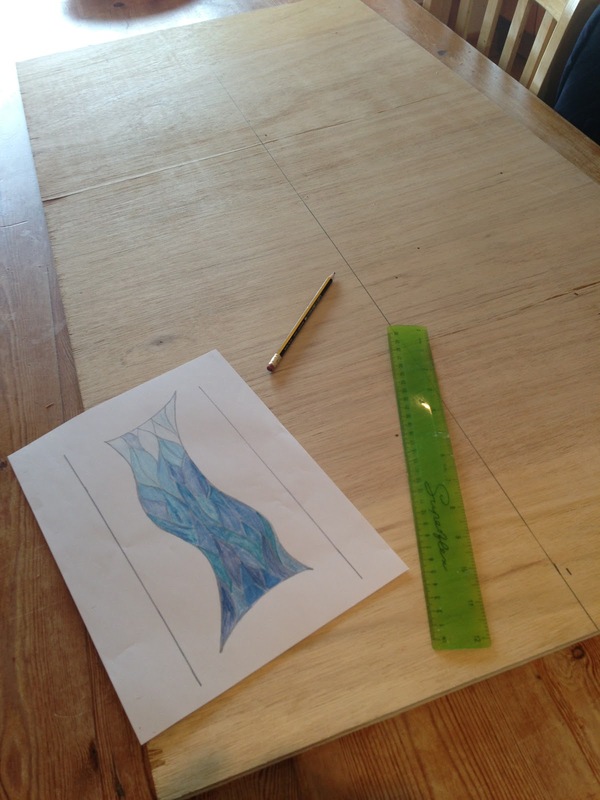 The two side wave panels are designed, measured and ready to be drawn onto the wood - let's start! Each panel is divided into four sections with four different shades of tiles for each section - these are for the darkest part at the bottom of the wave. Now the start of cutting, shaping, fitting, sticking, talking to the tiles onto the template, in the lovely shapes of flowing water. On to the next section of four different shaded tiles blending in with the first colour combo - gradually getting lighter. My miraculous find - a tile of gold/silver! I wanted to put some small glimpses of light and sparkle in the water and look what I found! Ordered for Monday! So, all is going well - do leave me a comment and pop back for an update in a while. My new tile will have arrived by then - very exciting! Hello, and welcome to blogger friends, both old and new! This commission all started a while ago, when Monsignor Bernard, on the recommendation of a friend, gave me a ring to look into the possibility of mosaics for the church. We had a fun meeting later on that week, with lots of ideas flying around and possibilities beginning to form. I went back to my studio, my head buzzing with thoughts, and also gratitude for the opportunity to have my work in such an important place. 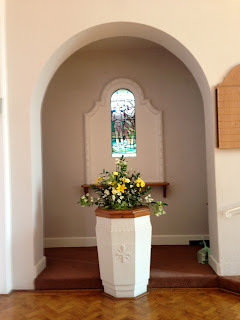 Monsignor Bernard wants to improve the area at the front of the church, which includes the font - that's where I come in! 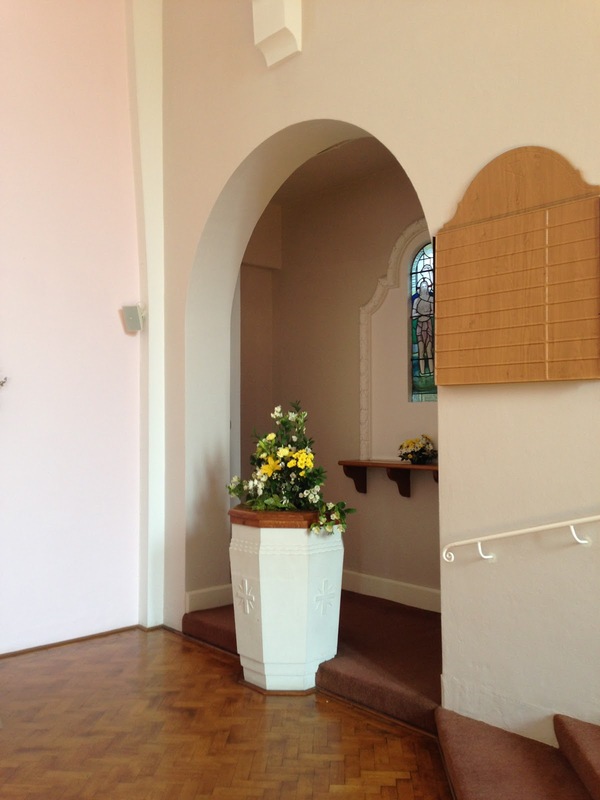 As you can see from the photo, the font area is an alcove - a semi-enclosed space where important work is done. My immediate thoughts were to make it all feel like a special place, so I came up with the idea of two side panels, either side of the font, tying in design-wise with the mosaic in the font. The design will reflect flowing water, with gorgeous green and blue tiles blending together from dark shades to light shades - from darkness into light. 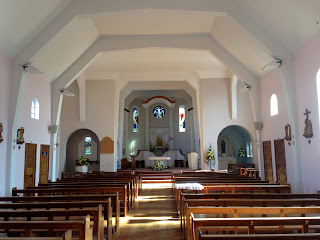 I have a wave shape in mind for the side panels, which felicitously fits in with the two stained glass windows to the left of the font - the glass flows vertically at the side of the windows - perfect! And the font ..... now that's a completely different challenge. The design will mirror the colours and feel of side panels, but there is more to be done before I can firm up the designs - watch this space! So, enough to be filling my head with at the moment. 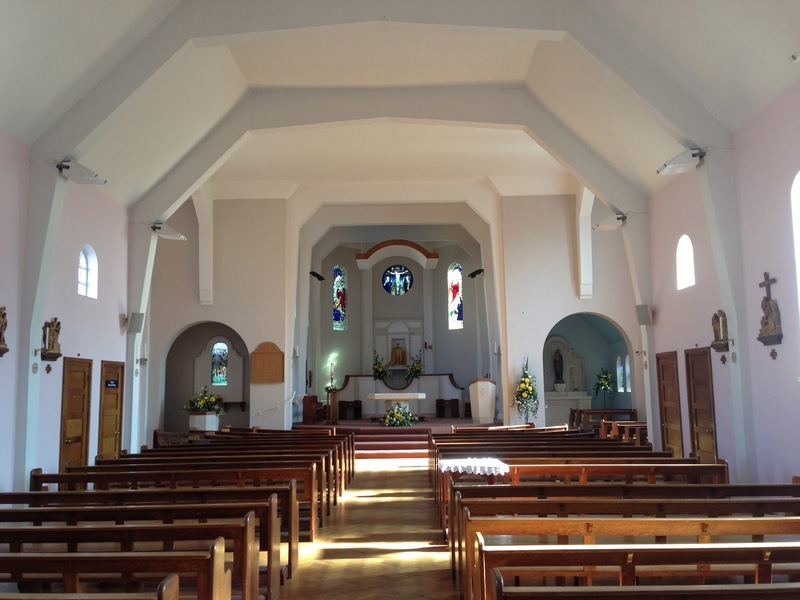 I will start on the side panels on Monday April 8th, as the building work starts in the church and keep you in touch with how I am doing. I am so looking forward to this commission - creating an enhancing and inspiring work of art for the Sacred Heart Church for years to come!